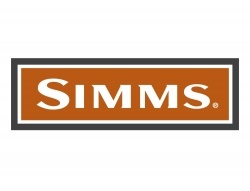 Cue the sun and source comprehensive comfort with Simms’ durable, convertible Superlight Zip-Off Pants. Engineered with UPF50 COR3™ and Cool Control™ fabric technologies, these pants effectively bounce heat back into the stratosphere, while shielding sensitive skin from harmful UV rays. Stash fishing essentials in the zip-secure cargo pocket. Introduce digital devices to secure internal housing. And dig hands into convenient back, mesh-bagged slash pockets. A partial elastic, brushed tricot-lined waistband delivers plush fit with the benefits of on-the-go adjustability, while the gusseted crotch enhances mobility. Traditional Fit comes standard.